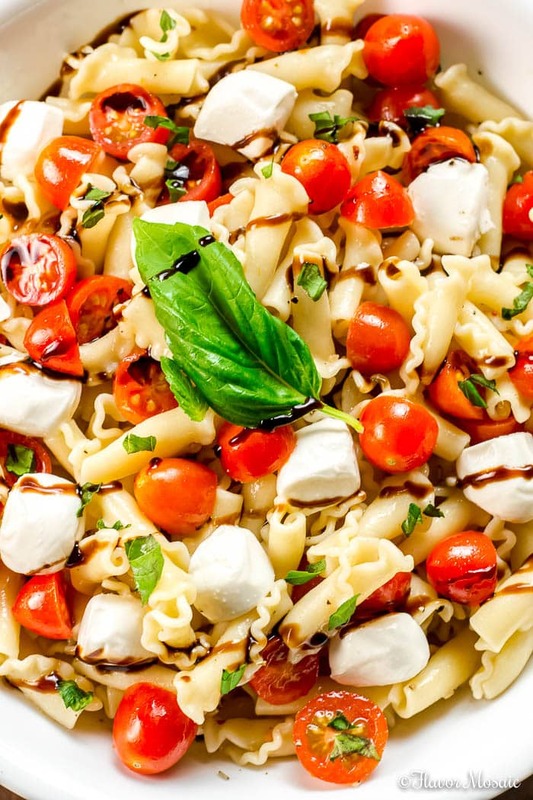 This Caprese Pasta Salad, with its summer tomatoes, fresh mozzarella cheese, and fresh basil leaves, coated in a red wine vinaigrette and drizzled with a Balsamic Glaze, makes a perfect pasta salad for a picnic, potluck, or summer party! Caprese Salad Transformed into a Caprese Pasta Salad! Have you ever had a Caprese Salad at an Italian restaurant? 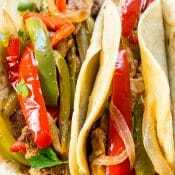 It is very simple with a few fresh ingredients but oh so delicious. It consists of fresh tomato slices, slices of fresh mozzarella cheese, and basil leaves. Then it is drizzled with a high-quality balsamic vinegar. 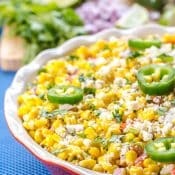 It is hugely popular in restaurants, and at our house too! 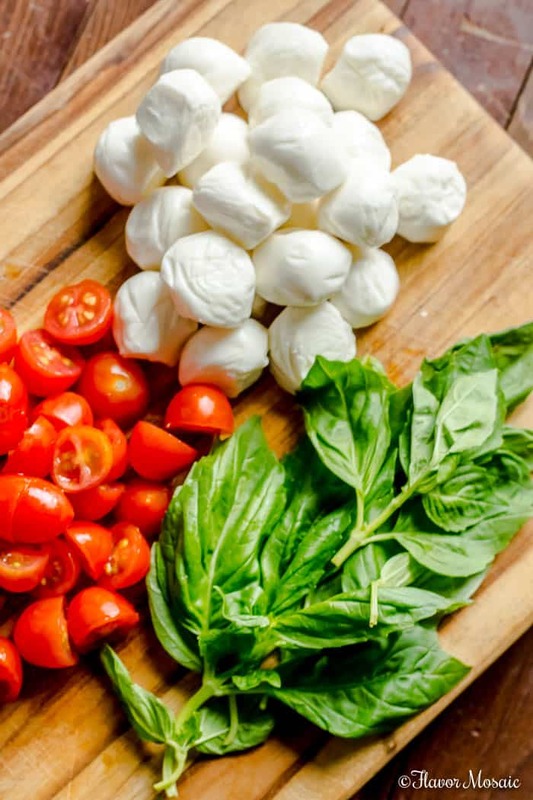 What Ingredients Are In a Caprese Pasta Salad? To turn the Caprese Salad into a Pasta Salad, I used smaller portions of tomatoes and mozzarella by using cherry tomatoes and little balls of fresh mozzarella that I found at the deli of our local grocery store. I still used fresh basil leaves. What I added to the Caprese Pasta Salad, in addition to pasta, that was not in the original Caprese Salad was a red wine vinaigrette that coats the entire pasta salad. I chose to use a red wine vinaigrette instead of a balsamic vinaigrette is because the red wine vinaigrette allows the pasta salad to keep its color. 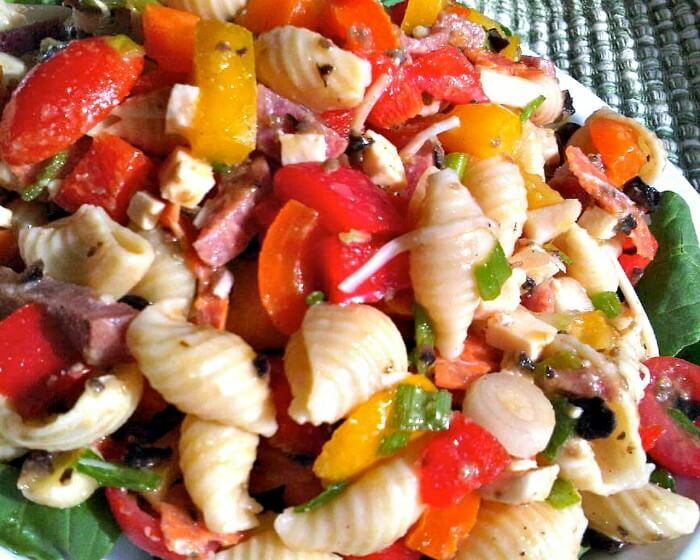 What Type of Pasta to Use In a Caprese Pasta Salad? 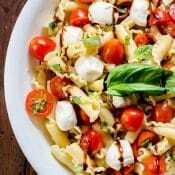 Since pasta is not an original ingredient in a Caprese Salad, then it really is your preference as to what type of pasta you would like to use in this Caprese Pasta Salad. Since it is such a pretty salad, I like to use a pretty pasta. Any of the types of pasta below would work in this salad. Just be sure to follow the instructions on the pasta package because the different types of pasta can have different cooking times. 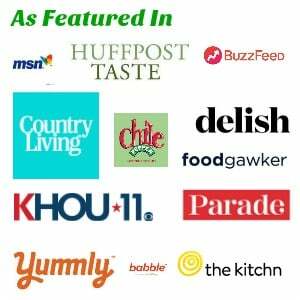 Use any of the following types of short, decorative pastas in the Caprese Pasta Salad. Caparelle. I used this type of pasta because it is pretty with its bell shape and ruffled edges. These are only a few types of pasta available to use. Use what you have on hand or use your imagination. Prepare the pasta according to the instructions on the package of pasta. Cook until al dente. Do not overcook. Rinse the pasta. 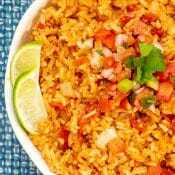 Since this is a cold pasta salad, rinse the pasta with cold water after it has been cooked to stop the cooking process. 3. Add the cherry tomatoes, fresh mozzarella, and basil to the pasta. 4. Pour the vinaigrette over the pasta, tomatoes, and mozzarella. 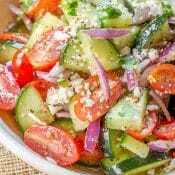 What Vinaigrette is Used in The Caprese Pasta Salad? If I coated the whole Caprese Pasta Salad with a balsamic vinaigrette, it would have changed the color of the whole pasta salad to a brownish color. It is such a pretty pasta salad, that I did not want to lose those vibrant, fresh colors. You can use either a store bought red wine vinaigrette (or your favorite vinaigrette) or make your own. 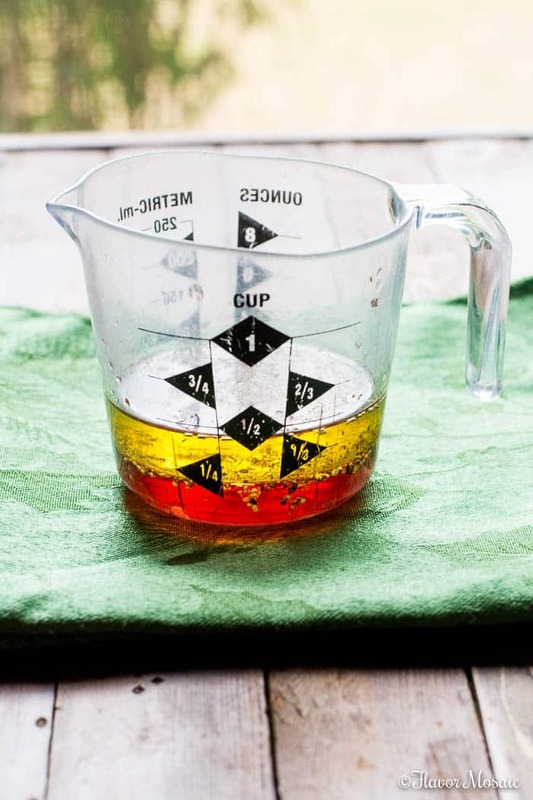 See the recipe of the red wine vinaigrette below in the printable recipe. 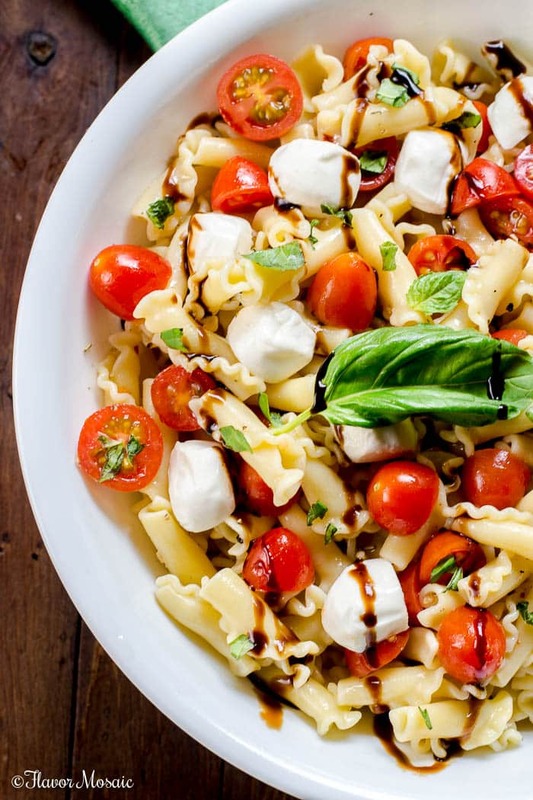 However, as a finishing touch, I drizzle the Caprese Pasta Salad with a Balsamic Glaze to give it a contrasting color and to make it feel like a Caprese Salad in a pasta salad. 5. Drizzle the Caprese Pasta Salad with a little Balsamic Glaze just before serving the pasta salad. 6. Add a few leaves of basil for garnish. 7. Serve immediately or refrigerate until ready to serve. Can I Make This Caprese Pasta Salad Ahead of Time? Yes! You can easily make this pasta salad the day before and then take it to a party, picnic, or potluck the next day. Refrigerate it until you are ready to you. However, I recommend not drizzling it with the balsamic glaze until just before serving the Caprese Pasta Salad. Fresh cherry tomatoes. If you don’t have cherry tomatoes, chop up the fresh tomatoes into bite sized pieces. Fresh mozzarella. 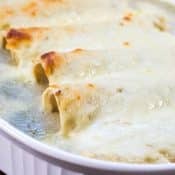 Don’t use shredded mozzarella. Only use fresh mozzarella for this salad. Often I say use whatever cheese you have on hand, but not in this case. 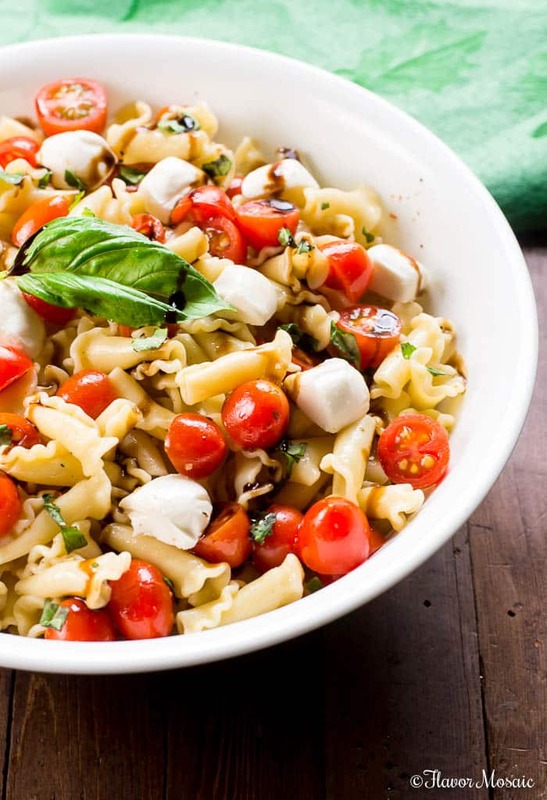 Only fresh mozzarella will do in this pasta salad. If you change the cheese to something other than mozzarella then, to me, it is no longer a Caprese Pasta Salad. Fresh Basil. Don’t use dried basil. Use only fresh basil. That is one of the key ingredients that makes this a Caprese Pasta Salad. Don’t Overcook the pasta. Cook the pasta al dente, according to the package instructions. Be sure not to overcook the pasta. Rinse the cook pasta. 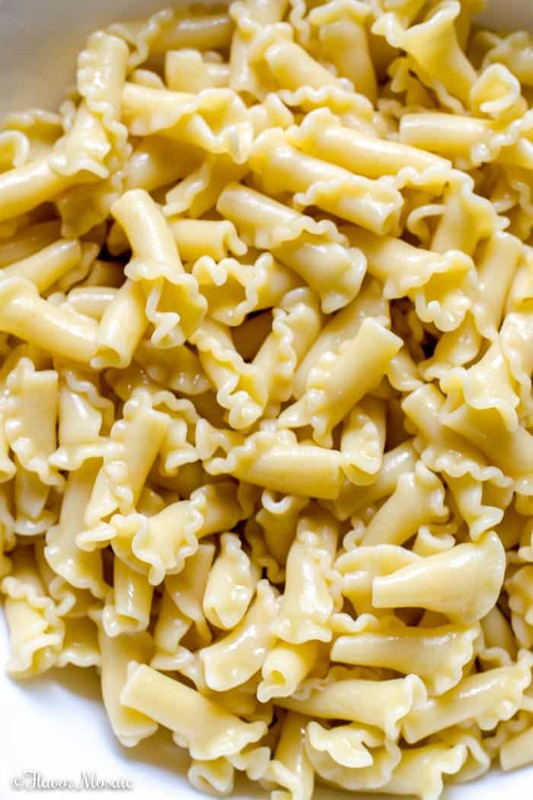 Since this is a cold pasta salad, rinse the pasta with cold water after cooking to stop the cooking process and allow you to add the ingredients, especially the mozzarella, without it melting. For which occasion will you make this Caprese pasta Salad? Give it a try and come back and leave a comment to let me know how you liked it! Enjoy! 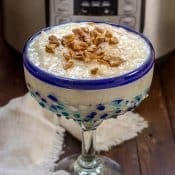 If you like this recipe, be sure to check out these awesome recipes! 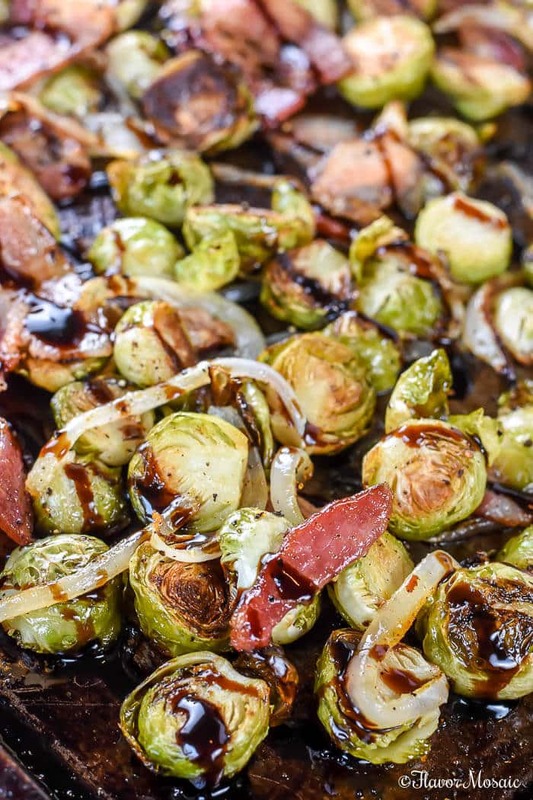 If you have leftover balsamic glaze, try using it on these Roasted Brussels Sprouts recipe. 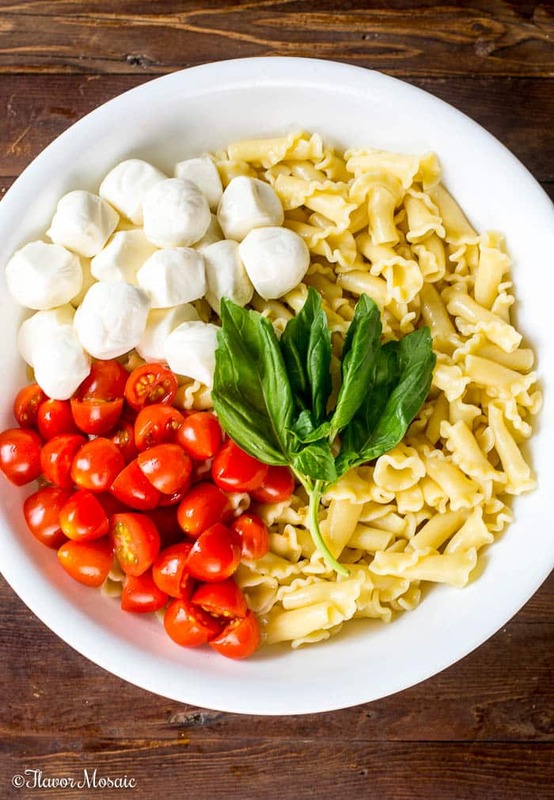 Place pasta, tomatoes, mozzarella, and basil in a large bowl. Pour the red wine vinaigrette over the pasta, tomatoes, mozzarella and basil. Stir until everything is evenly coated. Refrigerate until ready to serve. Drizzle Balsamic Glaze over the top right before serving. 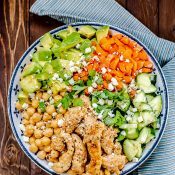 In a bowl or measuring cup, stir together olive oil, red wine vinegar, minced garlic, Italian Seasoning, and sugar, which is optional. Place a small saucepan over medium heat. Pour in the balsamic vinegar and either honey or maple syrup. Bring the mixture to a boil. 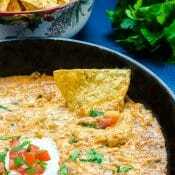 Then reduce the heat to medium-low and simmer for about 10 minutes until the mixture is reduced by half. Remove from heat. Let cool before serving. Please note that the balsamic glaze recipe will make more than you need for the Caprese Pasta Salad.